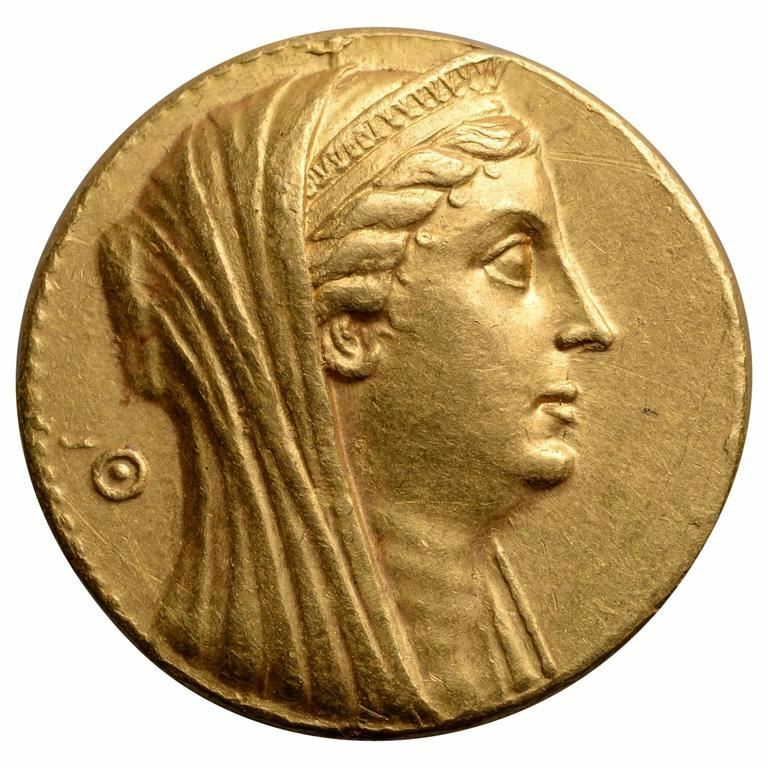 Arsinoe II was a Ptolemaic Queen and co-regent of Ancient Egypt. She was Queen of Thrace, Asia Minor and Macedonia by marriage to King Lysimachus, and queen and co-ruler of Egypt with her brother-husband Ptolemy II Philadelphus. In Egypt, she is believed to have instigated the accusation and exile of her brother Ptolemy II's first wife, Arsinoë I. Arsinoë II then married her brother. As a result, both were given the epithet "Philadelphoi" ("Sibling-loving (plural)") by the presumably scandalized Greeks. Sharing in all of her brother's titles, she apparently was quite influential, having towns dedicated to her, her own cult (as was Egyptian custom), appearing on coinage and contributing to foreign policy.